Check out the awesome beadwork by my fellow Dartmouth pal Cody Harjo (Seminole/Otoe/Creek/Cherokee/Iowa). I am an enrolled member of the Seminole Nation of Oklahoma with Otoe, Creek, Cherokee, and Iowa descent and a self-taught beadwork artist with almost 20 years of beadwork experience. 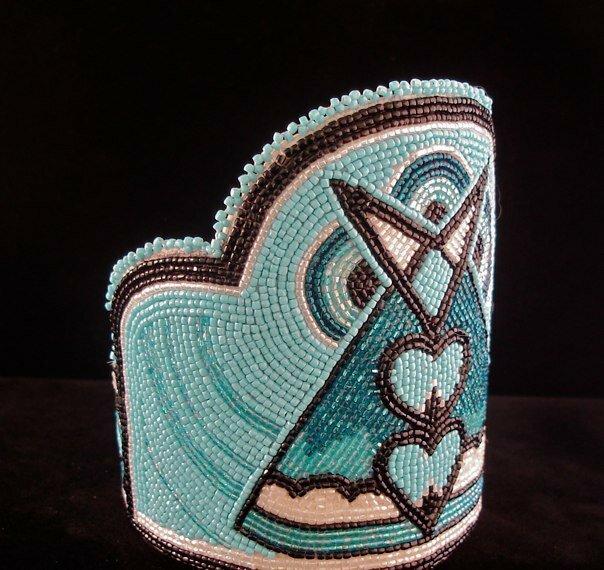 Growing up in Oklahoma, I was exposed to many beadwork traditions and always listened with an open heart and mind when other beadwork artists offered advice and guidance. My initial focus was on Otoe style beadwork, but now starting to explore traditional Southeastern designs. I am also a constant student for anyone who chooses to teach me about their tribe's traditional patterns and colors. I consider myself a contemporary beadwork artist because I love to work with colors and designs that cross the boundaries of "traditional." I believe beadwork is an art form that should always evolve. After all our ancestors did not have access to glass beads until European arrival. 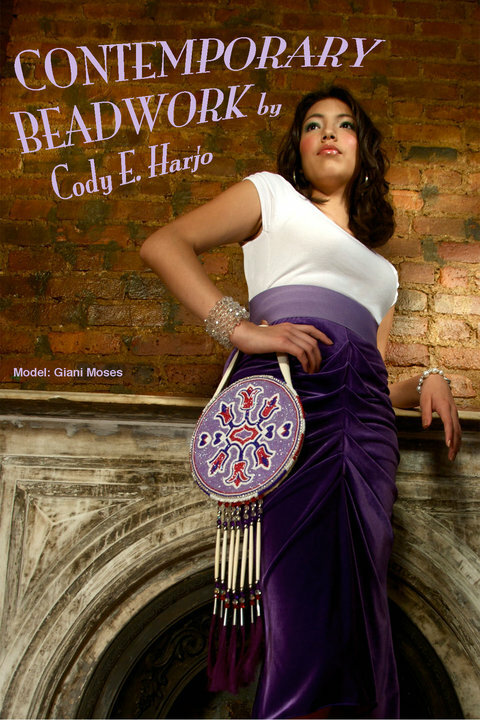 Beadwork represents a tradition of adaptation in its highest form for our American Indian people. Currently I'm busy working and going to grad school for media studies, so I am unable to attend art markets at this time. But this does not stop the beads... because beadwork is a part of who I am. It's like a daily exercise and meditation. Harjo was also featured on Martha Stewart's show, and you can watch the clip by clicking here.